The St. Augustine lighthouse appears in the distance along with the marina and its sailboats. A bicyclist appears on the road. 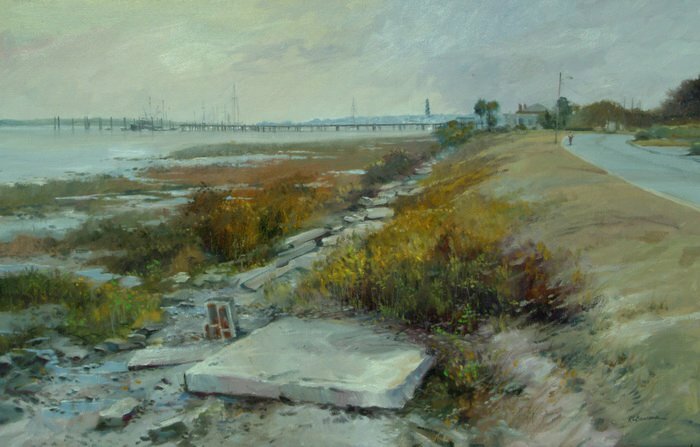 I painted the gritty shoreline with it’s rip-rap. That’s just how it is here but I liked the realism of it.